We’ve formed a strategic partnership with Rhino Africa Safaris – Africa’s leading inbound tour operator. Rhino Africa Safari’s is the largest single corporate contributor to Wildlife ACT’s endangered species conservation work in Southern Africa. Wildlife ACT’s success is in a large part due to the fantastic financial, logistical and infrastructure support that Rhino Africa has provided over the last 10 years. They are at the top of their game when it comes to Eco-conscious Safaris. Wildlife ACT is proud to have been accepted as a member organisation of the International Union for the Conservation of Nature (IUCN). The IUCN, with headquarters in Switzerland, is comprised of more than 1300 member organisations from government and civil society, and is the global authority on environmental conservation matters. By joining this conservation body, Wildlife ACT hopes to strengthen its ability to advance a vision of broad scale biodiversity conservation through endangered species and community based conservation. In addition, we hope to contribute positively towards the IUCN’s knowledge and network base, helping to overcome conservation barriers in Africa and globally. 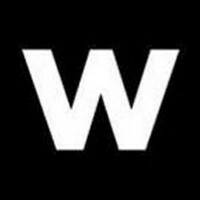 Wildlife ACT has partnered with Woolworths to aid our conservation efforts, raise awareness and of course funds for critically endangered animals. Woolworths launched a wildlife-themed range of reusable shopping bags as well as the ‘Every Paw Print Counts’ campaign, which funds a lot of the vital work we do . Woolworths customers are able to further support us by signing up for a MyPlanet card and choosing Wildlife ACT Fund as a beneficiary. 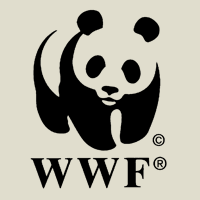 We have worked with WWF on a number of initiatives, the latest being the hosting of a group of Vietnamese journalists and a member of staff from TRAFFIC. The purpose of their trip was to bring home to people in Vietnam the issues we are facing with regards to rhino poaching and the extent of work going into preventing it on the ground. The feedback to date has been positive and we envision working further towards rhino horn demand reduction in Asia. We assist the Black Rhino Range Expansion Project (BRREP) with finding suitable release points for black rhino, the training of new black rhino monitors, the purchase and fitment of tracking equipment on the individual rhino to be released and the post-release monitoring work while the rhino settle into their new homes. 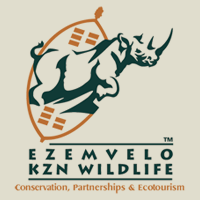 We have partnered with Ezemvelo KZN Wildlife (EKZNW) to assist them with numerous monitoring projects in the provincial parks of Kwa-Zulu Natal. This includes assisting them with the monitoring of every wild dog pack in each of their parks, cheetah monitoring and census work in Hluhluwe-iMfolozi Park and Mkhuze Game Reserve, a lion and elephant population study and monitoring project in Tembe and a wide scale leopard and vulture monitoring project across the province. We have partnered with Panthera on a novel camera trapping project in KwaZulu-Natal, whereby we are monitoring the density of 5 core populations of leopard. These important populations have the potential to be negatively affected by illegal and trophy hunting, so we are keeping track of any changes in their populations over time. This will better allow the provincial conservation authority, EKZNW, make informed management decisions with regards to leopard conservation in KZN. We have partnered with Wildlands Conservation Trust WCT on a number of rhino conservation initiatives, most notably with regards to the population of rhino on Somkhanda Game Reserve. We monitor this population with the assistance of funding from WCT and also run an extensive community conservation education and awareness campaign, which they have helped with on numerous occasions. We are founding members of this award-winning association. One of our Trustees, Dr Simon Morgan, is a floating-Chairman for Project Rhino KZN. It is a province-wide rhino-focused association that brings together a provincial government conservation body, private and community-owned reserves, rhino owners, leading conservation NGOs and anti-poaching security specialists. 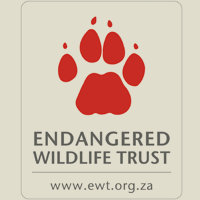 We are partners with Endangered Wildlife Trust (EWT) on the KZN Wild Dog Advisory Group (KZN-WAG) committee and the Vulture Working Group, along with Ezemvelo KZN Wildlife (EKZNW). We work extensively with EWT staff on the ground with regards to the capture of dispersing and run-away wild dog, the relocation of new packs and the general daily management of the population with EKZNW. 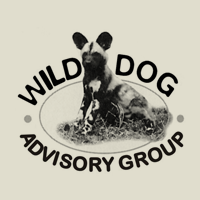 The Wild Dog Advisory Group of South Africa (WAG-SA) is a national advisory group bringing together National government conservation bodies, private and community-owned reserves, leading conservation NGOs and wild dog specialists to help advise and manage wild dogs in South Africa. Chris Kelly, one of Wildlife ACT Fund’s trustees, is a member. The Wild Dog Advisory Group of KZN (KZN-WAG), is a provincial advisory group bringing together a provincial government conservation body, private and community-owned reserves, leading conservation NGOs and wild dog specialists to help advise and manage wild dogs in KwaZulu-Natal Province. Wildlife ACT is the designated treasury for this group and one of the three decision making entities, including Ezemvelo KZN Wildlife and the Endangered Wildlife Trust. The annual Zululand Vulture Tagging Project, which focuses on three species of tree-nesting vultures (African White-Backed, Lappet-Faced and White-Headed), has been the focus of fieldwork conducted as part of an overall strategy to study and conserve vultures in KwaZulu-Natal. This work has been conducted as a partnership between Ezemvelo KZN Wildlife, the Birds of Prey Programme of the Endangered Wildlife Trust and Wildlife ACT with support from Eskom, Raptor Rescue and private landowners since 2009. The Lion Management Forum (LiMF) is a group of interested parties which get together to discuss the status of lion in South Africa and collaborate in developing better management strategies for important fenced populations. The LiMF is in discussions to formalise itself into an Advisory Group in a similar manner to WAG-SA. 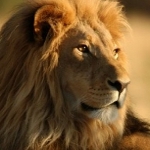 Two of our Trustees, Dr. Simon Morgan and Chris Kelly, are contributing members to the Lion Management Forum. The mission of the Sindisa Fund is to support and conduct activities that contribute to the global conservation of endangered species. The Sindisa Fund partners with international organizations to help protect endangered species around the world. 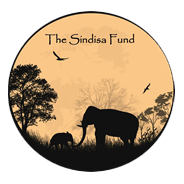 Currently, The Sindisa Fund is focusing its efforts on supporting the Wildlife ACT Fund Trust in South Africa in an effort to educate surrounding communities on the importance of monitoring and protecting rhinos, painted dogs and other endangered species in their local wildlife reserves, including putting an end to the illegal trade in wildlife products, poaching and the inhumane practice of snaring. Global Supplies delivers top class products and services to the wildlife industry. They are one of Wildlife ACT’s main providers regarding tracking collars, telemetry, and other research related equipment. Starting in 2012, the Global Nature Fund (GNF) and the Federal Ministry of Economic Cooperation and Development (BMZ) of Germany teamed up with Wildlands Conservation Trust (WCT) to support Wildlife ACT Fund’s Somkhanda Community Conservation Project in northern KZN. The resulting endeavour, called the “Kids in Parks Program,” helped fund 22 four-day conservation education bush camps for 528 students, grades 5-7, and their teachers, at our Ubehejane (Black Rhino) Children’s Bush Camp in Somkhanda Game Reserve. As a conservation organization and a responsible ecotourism operator Wilderness Safaris believes fully in its vision of the 4Cs – Commerce, Conservation, Community and Culture – as contributing meaningfully to the wildlife and the people of Africa. We work with Wilderness Safaris to assist them with their conservation endeavours in the Khwai Community Concession in Botswana where we assist with the implementation of ecosystem monitoring and in the Seychelles with their ambitious North Island Conservation Project. Chrystina Geagan of Chrystina Photography and Productions has not only been a Expedition Leader of our Predator Survey work in Ethiopia, but has been the sole financier of this project to date. She has an infectious love for wildlife and is a dedicated conservationist and wildlife photographer whose slogan of “Lets Drink Wine and Save Animals” epitomizes her spirit and her passion. Without her support the idea of getting a sneak peak into the unknown Harenna Forest of Bale Mountain National Park would have been but a dream. Planning for the next expedition is already underway! Relate Bracelets in partnership with Woolworths, launched a bracelet range called Every Paw Print Counts in aid of endangered species. The bracelets support the valuable work done by the Wildlife ACT Fund to save endangered species. The bracelet featuring a wild dog and cheetah paw print was sold in aid of Wildlife ACT Fund’s relevant conservation projects. Jeep Apparel partnered with Wildlife ACT Fund to raise funding and awareness for the conservation of rhino and the African wild dog. Jeep Apparel have developed a range of Mens & Ladies’ T-shirts supporting each of these gracious creatures and R10 from the sale of each t-shirt will go towards our fund. These t-shirts are available for purchase at select Jeep stockists in South Africa.